According to the Global Address Data Association Ireland will finally introduce postal codes. These codes differ from those used in many other countries in numerous ways. Each residence will receive its own code, which is not sequential and not related to place. The codes are being created by a business with a profit motive (Capita) and which is not the country’s national postal service. Through its very design businesses, couriers, utilities, local authorities, emergency services and so on will have to purchase files and services from Capita to decode the new postal codes into a location, and the considerable protests against this new system are not likely to make Capita change it. 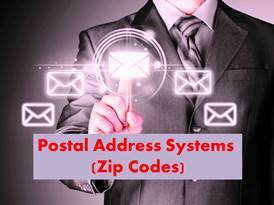 There have been few new or changed postal code systems in recent years. Postal services are struggling with plummeting mail volumes and creating and introducing postal code systems is expensive. I predict that the success of failure of Ireland’s new system will be closely followed to see whether it can (with modifications) be used as a template for systems in other countries.